My Blog End of the Year: Top 5 Posts. Home/Blogging/My Blog End of the Year: Top 5 Posts. It is the end of the year and it’s time to look at my site stats. This is the first year where I really focused on traffic to see if I could build traffic by following the advice of many pro bloggers who blog about building their blogs. Â Warning: This post will probably become a multi-post affair. 5 Blogs that gave me ideas to build a better blog. How to purchase a domain/hosting and set up WordPress? How to Integrate Your Blog onto Social Media? I was born a baseball junkie. It wasn’t my fault but I was and because of this I was born a stats junkie as well. I love looking at performance from baseball, to cars to the video games I play I love looking at stats. A brief history of this site. It started in late 1997. It was hosted without a real host and a domain name for many years.Â In 2002 I bought hosting and a domain name. Eransworld was born. I stole the idea from a website forum called jimworld.com (I used jimworld to learn all sorts about web development). At the time I was running a scrapbooking website. Anyway Eransworld is a place that I use to play with coding, graphics, writing and making fun of many things. It has often been used as a sandbox for my day jobs. More recently it has become a place to try and become a good enough writer to write a book, something that is on my lifetime goals list. The reason I have spent the last year improving my site is simple. I have been having a mid-life crises so to speak. I am not sure what I want to be when I grow up. I am about to turn 40 and its time to decide. I have been thinking about becoming a professional blogger. I have a site and a topic and I will reveal it soon. Â I don’t know what will happen but my start up costs are extremely small and it’s a subject that I am passionate about.Â Look for an announcement soon. For all my stats, I run Google Analytics. Â Its free and if you are completely lost I can help set it up for you. The raw stats as of today for the year from January 1, 2009 until December 27, 2009. I had 38,602 unique visitors to my site. Â Last year I had just overÂ 10,000. That is an increase of almost 4 times.Â Not bad. I had 1.74 page visits per unique visitor which is down substantially from 2.74 last year. I know that these do not match the popular post section on my site. It is because that started well into last year. I will be resetting it again on January 1. There are 138 posts this year. Here are the top 5. 6,035 unique visitors.Â This is a very funny ad selling a Honda Civic. The photos include jumping it off jumps.Â My favorite part was the reason for selling: “Too Balling for Us”. 3,809 unique visitors. 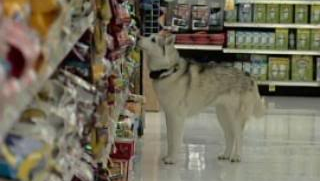 This is video of a dog walking into a grocery store and stealing a raw hide bone and walking out, all caught on surveillance video. Â This was actually posted on Christmas eve last year. All total it had more than 10,0000 unique visitors. 2,893 unique visitors. This was a post about how I believe the media was attacking Carrie Prejean for her stance on gay marriage. I find it more of an attack on religion by the media.Â In the America I grew up in speaking up for your beliefs should be encouraged not destroyed because some people may not agree with them. 1,209 unique visitors. The swine flu last April was being over-hyped by many people in the media.Â I still believe the media blew it completely out of proportion. There are worse killers in America that get much less attention. 890 unique visitors. Â I must admit I was extremely late on the twitter bandwagon. I still don’t completely understand the best way to use it. Â I do however use this site to give me a summary of activity from people I follow.Â Follow this blog on twitter? These are just a few of the posts that I was able to create over the last year… I hope you enjoyed them. Coming soon more posts about increasing your blogs potential.